This is a delicious and quick dessert that you can put together if you need a last minute dessert for a get together pot luck, or hubs needs a dessert for work! 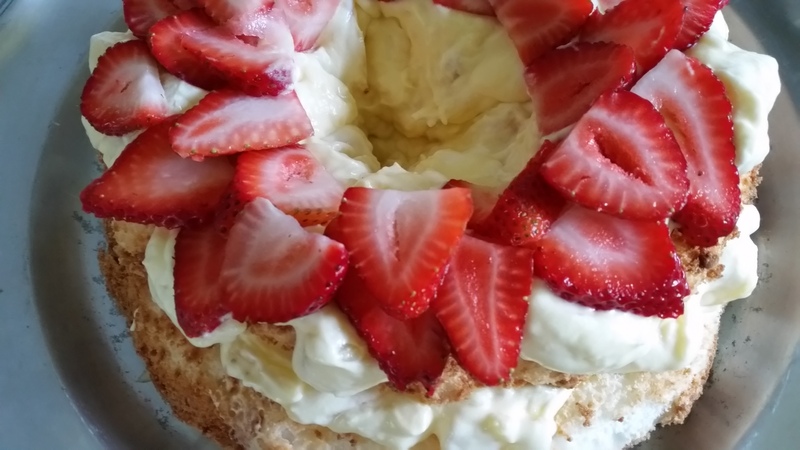 I used an Angel Food Cake mix, but you can always use a store bought, or make one from scratch. 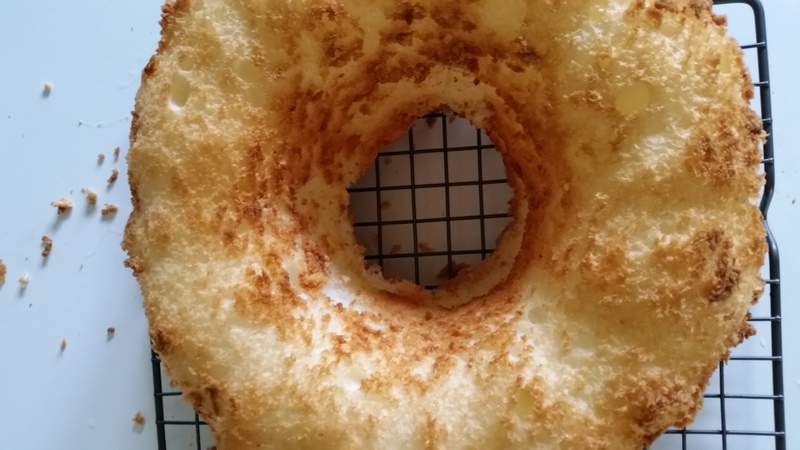 Last time I made an Angel Food Cake, I was about 10, as I was beating the egg whites, whipping away, I wasn’t holding the bowl and the whole thing flipped over on to me and the floor, I started over, I think I used 2 dozen eggs, the second time wasn’t any better, the whole thing came out rock hard. So, try it, you may have a better experience. The cake mix can’t get any easier. Add water!! The only thing I recommend is that you use a large bundt pan. 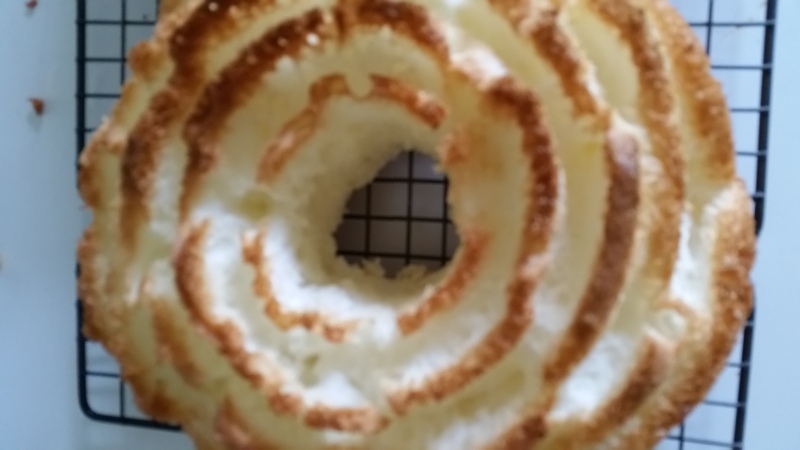 Mine wasn’t large enough obviously, Angel Food Cakes really rises and puffs up, I quickly removed my cake mix batter from the oven as it was rising and poured half into another bundt pan! Whew, success! Follow directions on cake mix, or make your own Angel Food Cake by scratch, depending on how much time you have. Cut cake in half, spread pudding mixture between layer and top of cake. 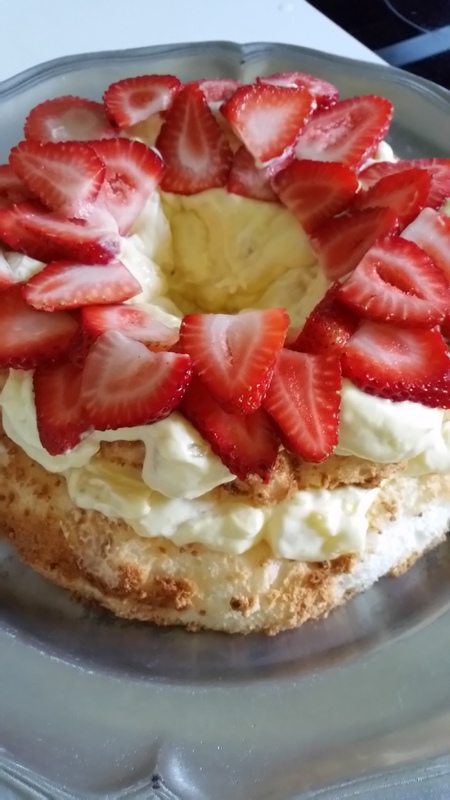 Quick and Simple Angel Food Cake filled with a pineapple vanilla pudding mixture topped with fresh juicy berries. Mix pineapple and dry pudding mix. Stack cake layer on plate, spreading pudding mixture between layer(s) and on top of cake. This looks so much like a cake my mum used to do Nettie! I wish I could taste it now! Pinned and shared and hope to see you on Saturday!